Katie Pilgrim, Recruitment Manager for CPM Ireland took to the stand last Thursday 14th of August at a breakfast meeting hosted by Jobs.ie to share with her fellow peers in the recruitment arena “The Benefits of Identifying Transferable Skills when Recruiting”. Katie has been working in the Recruitment industry for over 6.5 years across both agency and in-house recruitment and over that time she really feels that identifying people who may not have the specific past experience but have the right competencies for that job has been a key winning formula to identifying ideal candidates. 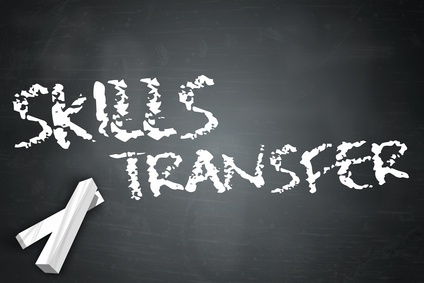 This more open and refreshing approach, may also be as a result of Katie’s own career journey as it is a perfect example of transferring skills sets. “I started my career as a hairdresser at the age of 17 and I’m now Recruitment Manager for CPM Ireland. At first glance you may not see the logical bridge but a lot of the skills I had as a hairdresser were transferable: dealing with people, strong communicator, ability to drive sales, make each client feel like the only client, time management, appointment setting and diary management”. CPM is a leading partner in Ireland for outsourced field sales solutions, working for clients to deliver long-term and short term tactical campaigns, and provides direct employment for over 600 people nationwide. CPM Ireland forms part of CPM International with 25 offices around the world. CPM is also part of Diversified Agency Services, a division of Omnicom Group Inc.
To show our scale, CPM hired 1,000 people last year and identifying transferrable skills is something CPM applied as part of the recruitment process. Katie has made a big difference to the recruitment process and in particular the interview process. Moving to one that focuses on behavioural competencies, identifying what motivates the candidates, and recognising personality traits through presentations and role plays. Katie also amended the way in which candidates were judged in interviews by introducing interview guides to reflect scoring and reasoning for hiring. The changes that have been made means that candidates are being judged not just based on their past experience but on their behaviours and motivational factors. Katie & CPM believe that attitude is a huge factor in sourcing the perfect sales candidate, you can train for skill.